Volvo Phare FH FM Du cote de la main droite. Ce projecteur s'adapte Volvo FH FH12 FH16 FM FM9 FM13 - 3rd series. 2008 - 2012 des modeles. Land Rover. Car Air Springs. 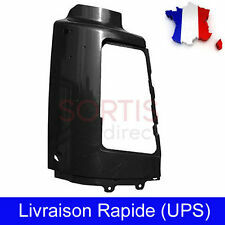 Volvo FM Phare Seat Cote droit. Car Air Springs. Ballast au xénon DV 007 760-VX. OPEL / GM: 90565932/6237670. KIA: 921903F100. Lancia: 60672695. VOLVO: 30859759. Numéro de pièce. Nous allons le remplacer par un remplaçant tout neuf. 6N0941641 - 6N0 941 641. 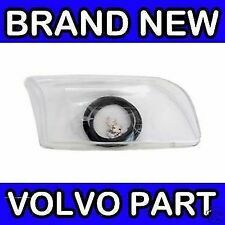 Volvo Head Lights 20763003, Volvo 2nd Series Headlights LHD (RHS). 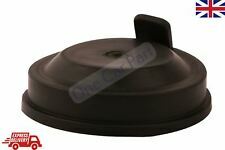 OEM Reference Numbers: 20763003. 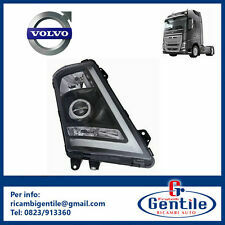 This Product Fits: Volvo FM and Volvo FH 2nd Series (2002 - 2008). Car Air Springs. Replaces OE: 21035634 21323101. Volvo Headlights FH FM Left Hand Side. 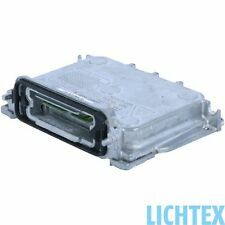 This Headlamp fits Volvo FH FH12 FH16 FM FM9 FM13 2008 - 2012 models. Left hand drive applications. VOLVO S40/V40 02.1996-12.2003. Parking light: LED. open the case or. We are here to help you and certainly always to do it! Regulation: electrical (electrical adjuster is not included). High beam: H1 included. Cote gauche (LHS). Car Air Springs. Volvo FM Siege de phare Cote gauche (LHS). Car Air Springs. 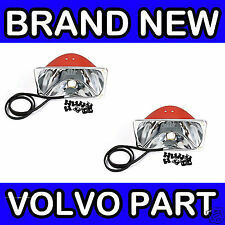 Replaces OE / Cross Part Number 20360898 20861583 21001663 20861573 VLBODY601. Car Air Springs. Volvo Head Lumiere 21035638, 3rd series LHD (LHS). Car Air Springs. Volvo FH Siege de phare. Cote droit. Car Air Springs. Optique de phare avant gauche. 60590 SERIFONTAINE. SARL AUTODOCAS. année: 1997 A 2000. Faro principal VOLVO S60 I, VOLVO S60 I Saloon. VOLVO S60 I `00-`10 B 5244 S2. VOLVO S60 I `00-`10 B 5244 S. VOLVO S60 I `00-`10 B 5244 T3. VOLVO S60 I `00-`10 B 5234 T3. VOLVO S60 I `01-`10 D 5244 T.
Volvo Phare FH/FM LHD/ (Du cote de la main droite). Ce Les projecteurs s'adaptent Volvo FH12, FH16, FM12, pre 2008 des modeles. Type de connexion: Square & Round (fourni avec adaptateur), type de reglage: electronique. VOLVO 343 DL de 09/1976 à 1981. VOLVO 343 DLS de 08/1978 à 1981. VOLVO 343 L de 09/1976 à 1977. VOLVO 345 DL/GL/GLS de 09/1976 à 1981. Optique de phare avant gauche. SARL AUTODOCAS. Volvo C70 S70 V70. Optique Droit H7 H7 electrique ou manuel pour SAUT DES CHEVRES BAS – RN 7. KRUCK AUTO S.A.R.L. Modèle: S40. Optique de phare avant droit. Nos pièces détachées sont toutes contrôlées et testées par nos mécaniciens et sont accompagnées de leurs propres photos. Nos pièces détachées sont toutes contrôlées et testées par nos mécaniciens et sont accompagnées de leurs propres photos. 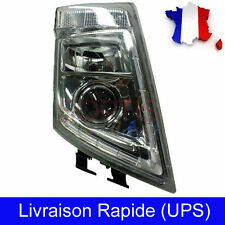 Reference BMW et Volvo 63 12 6 948 180 – 6948180 – 63126948180. BALLAST XENON HAUTE QUALITE ANTI SURCHAUFFE. SERIE 3 E90 / E91 (2005-2008) NON LCI (NON FACELIFT). Einbauposition: vorne links / rechts. 1 x Reflektor inkl. VOLVO 240 Kombi (P245) 2.0 Kombi 08.84 - 07.85 76 103 1986 ab Modelljahr 08/1980. VOLVO 240 Kombi (P245) 2.1 Kombi 08.80 - 07.84 79 107 2127 ab Modelljahr 08/1980. Links- / Rechtslenker: für Linkslenker und Rechtslenker. Einbauposition: links / rechts. 2 x Scheinwerfer (links / rechts). Farbe: chrom. 2 x Blinker (links / rechts). VOLVO V70 I Kombi (P80_) 2.0 Turbo Kombi 01.97 - 03.00 155 211 1984 9101-738. 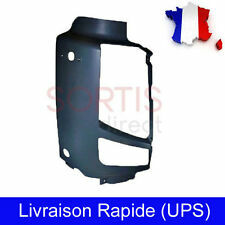 VOLVO S40/V40 02.1996-04.2000. open the case or. We are here to help you and certainly always to do it! Regulation: electrical (electrical adjuster is not included). High beam: H1 included. Low beam: H1 included. Volvo C70 S70 V70. 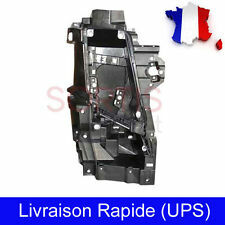 Optique Gauche H7 H7 electrique ou manuel pour SAUT DES CHEVRES BAS – RN 7. KRUCK AUTO S.A.R.L. VOLVO S40/V40 02.1996-04.2000. Parking light: LED. open the case or. We are here to help you and certainly always to do it! Regulation: electrical (electrical adjuster is not included). High beam: H1 included. Und zwei Fernlichtzusatz Scheinwerfer H1 für den. Zwei Hauptscheinwerfer H4 mit Standlicht. Vier neue gewölbte Scheinwerfer inkl. US VOLVO 240 mit Doppel Scheinwerfersystem. Die Scheinwerfer haben ein E-Prüfzeichen für den TÜV. Faro principal VOLVO S80 I, VOLVO S80 I Saloon. VOLVO S80 I (TS, XY) `98-`06 B 6304 S3. 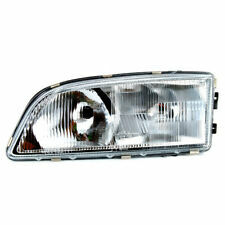 VOLVO S80 I (TS, XY) `98-`06 B 6284 T. VOLVO S80 I (TS, XY) `99-`06 B 5244 S2. VOLVO S80 I (TS, XY) `98-`06 B 5204 T3. 2 x Reflektor inkl. VOLVO 240 Kombi (P245) 2.0 Kombi 08.84 - 07.85 76 103 1986 ab Modelljahr 08/1980. VOLVO 240 Kombi (P245) 2.1 Kombi 08.80 - 07.84 79 107 2127 ab Modelljahr 08/1980. VOLVO 240 Kombi (P245) 2.3 KAT Kombi 08.91 - 07.92 100 136 2316 ab Modelljahr 08/1980. Links- / Rechtslenker: für Linkslenker. Einbauposition: links / rechts. 2 x Scheinwerfer. Nicht geeignet für Fahrzeuge mit Xenon Scheinwerfern. VOLVO V70 II Kombi (P80_) 2.4 T Kombi 03.00 - 147 200 2435 bis Baujahr 07/2004 9101-828. VOLVO S40/V40 02.1996-04.2000. Projector headlights with LED Parking Light. Parking light: LED. Turn signal lamp: LED. We are here to help you and certainly always to do it! Regulation: electrical (electrical adjuster is not included). Halogen type headlight NOT xenon. · off side=RH=O/S=driver side near side=LH=N/S=passenger side. Picture is for reference only and the title shows exact side of the item. For RHD right hand drive UK. Ballast au xénon DV 007 760-VX. OPEL / GM: 90565932/6237670. KIA: 921903F100. Lancia: 60672695. VOLVO: 30859759. Skoda: 6Y0941641 - 6Y0 941 641. A2088200926 - A208 820 09 26 - 2088200926. 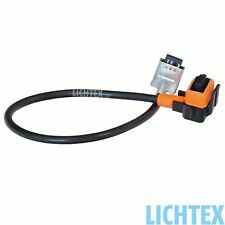 2 CLIP / SUPPORT D'AMPOULE XENON. SUPPORT D'AMPOULE XENON. compatible avec AMPOULE. NOUS VOUS CONSEILLONS LES AMPOULE A LED SMD ANTI ERREUR. 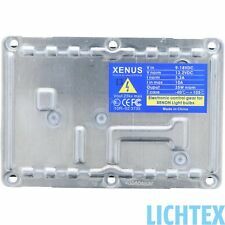 et surtout si vous voulez 4 ou 8 fois plus de luminosité en ampoule a led ou autre. Faro principal VOLVO S40 II, VOLVO S40 II Saloon. VOLVO S40 II (MS) `06-to p.t. B 4204 S4. VOLVO S40 II (MS) `04-to p.t. B 5244 S5. VOLVO S40 II (MS) `04-to p.t. B 5244 S4. VOLVO S40 II Saloon (MS) `06-to p.t. B 4204 S4. Links- / Rechtslenker: für Linkslenker. Einbauposition: rechts / Beifahrerseite. VOLVO 850 Kombi (LW) 2.3 T5 Kombi 02.93 - 12.96 166 226 2319 ab Baujahr 08/1993 9101-497. VOLVO 850 Kombi (LW) 2.3 T5-R Kombi 08.95 - 12.96 184 250 2319 ab Baujahr 08/1993 9101-720. Links- / Rechtslenker: für Linkslenker. Einbauposition: links / rechts. 2 x Scheinwerfer. VOLVO 850 Kombi (LW) 2.3 T5 Kombi 02.93 - 12.96 166 226 2319 ab Baujahr 08/1993 9101-497. VOLVO 850 Kombi (LW) 2.3 T5-R Kombi 08.95 - 12.96 184 250 2319 ab Baujahr 08/1993 9101-720. Citroen C4 2004-2010. Handles, Locks & Lock Cables. This part is to replace the cap at the back of the headlight unit and cover the bulb. Body, Bumpers & Trims. Need Assistance?. New Arrivals. 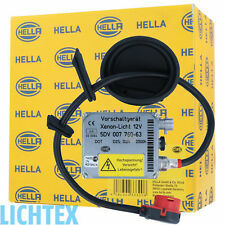 Filters & Service Kits. D1 D1S D1R D1C 12V 35W HID. CONVIENT POUR Culot: D1 D1S D1R D1C. LE BALLAST D ORIGINE. 2 CABLES D ORIGINE. ET AMPOULE D ORIGINE XENON. Compatible avec tout vehicules au xenon d origine. et surtout si vous voulez 4 ou 8 fois plus de luminosité en ampoule a led.